Clayton’s Prefabulous. 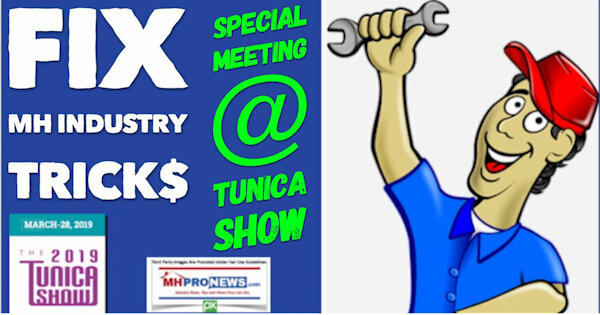 Special Tunica Meeting – “Fix MH Industry Tricks.” MH Made Simple. Amy Bliss Worries=MHI Report. MHC Owner vs Subsidized Rents. >>>>>>>>In Manufactured Home Marketing, Size and Results Matter! Housing Policy, and Pragmatism – Bridging the Gap – Conservatives AND Liberals, or Conservatives VS. Liberals? Do Looming Shareholders Suits Against Cavco Industries Foreshadow Problems for More Manufactured Home Industry Publicly Traded Firms? Will Canadian City’s Tax Plan Inspire U.S. or More Canadians to Follow With Affordable Housing Battle Tool? Is Manufactured Housing Industry Backstab Coming Into Clearer Focus?